There’s a “five-year mission” joke to be made here, but I’ll let it go. 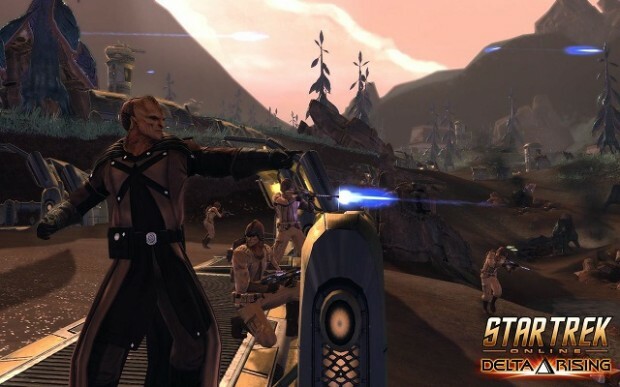 In the meantime, fans of Star Trek Online can celebrate the game’s half-decade anniversary from Jan. 29 to Feb. 26 with a bunch of new content, including a new storyline featuring the voices of Star Trek cast members. Garrett Wang (Harry Kim) and Denise Crosby (Tasha Yar) will lend their voice talents to the anniversary event that adds a new Romulan story arc, new secondary deflector items, and updates to the bridge officer training system.